The Legend of Korra brought a new twist to Avatar's world of element-wielding magic users by introducing Pro-Bending, a 3v3 spectator sport where benders could use their abilities in arena combat. Now, it's becoming the first official Korra board game, thanks to IDW and Nickelodeon. Announced as part of a new deal between IDW and Nick that will see multiple board games based on the world of Avatar and Korra get made, Pro-Bending is a pretty natural fit for being turned into a tabletop battle. Players will take on the roles of either the Fire Ferrets (Korra, Bolin, and Mako's team) or the White Hill Wolfbats, their biggest rivals in the first season of the show. 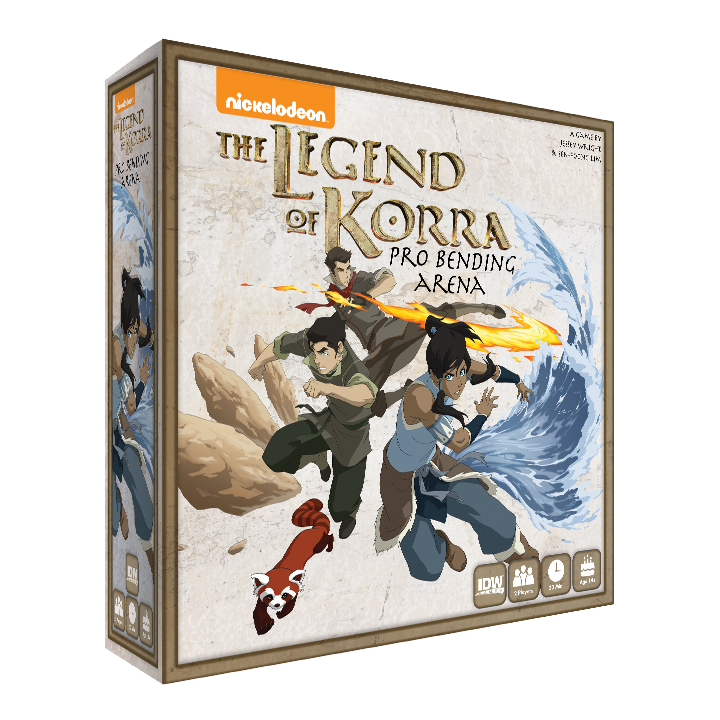 Rather than rolling dice to perform combat, Korra: Pro-Bending Arena is actually a deck building game, where two players will take control of a team and use their bending cards to place different elemental tokens over the board to try and push their opponent's team back, and eventually off the board all together to take the win. Korra: Pro-Bending Arena will first raise money through Kickstarter this winter, before heading to store shelves for a planned spring release for $50 (£39).